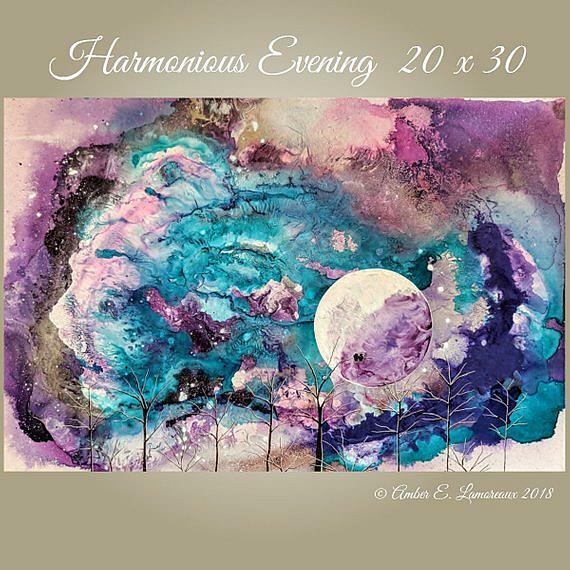 'Harmonious Evening' huge gallery wrapped canvas 20" x 30" x 3/4" original modern painting by artist Amber Elizabeth Lamoreaux. The moonlit forest is silhouetted against a starry teal and purple sky. Two owls snuggle together on their favorite branch, staring at the moon.